The Vegas Show Girls are renowned for their elegance, style and sophistication. We always like to be ahead of the game in our industry working closely with our clients to establish their needs and demands for events. 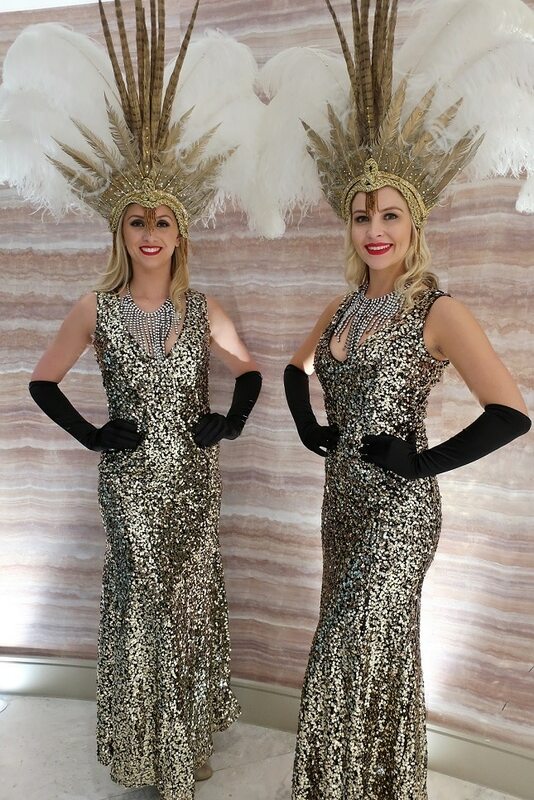 Taking current trends into consideration we are delighted to introduce our more ‘traditional’ style of Las Vegas Show Girl costumes complete with fishtail sequined evening gowns and our fabulous feather plumed head dresses. These more traditional costumes are perfect for all meet and greets, photographs, VIP receptions and hospitality and come in a variety of styles and colours for a more ‘covered’ up look and feel…. If you have a more unusual colour theme or scheme please do not hesitate to contact us to discuss your requirements. 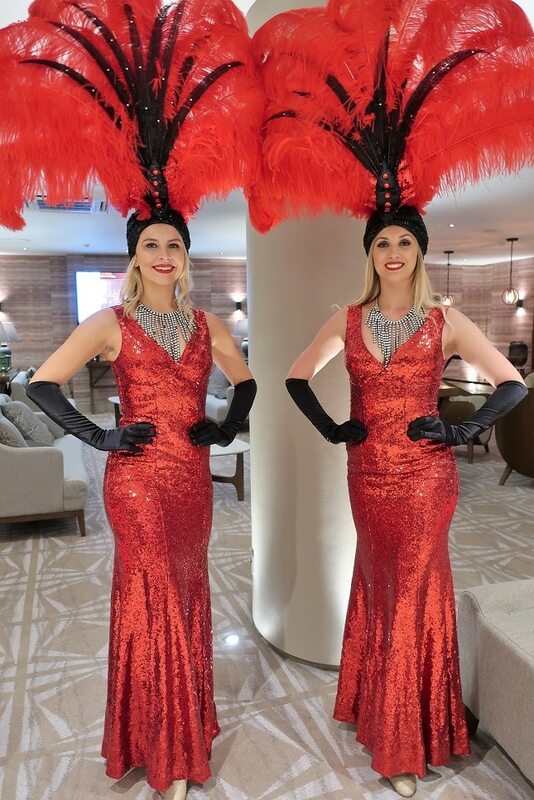 It will be all systems go later in the evening when our show girls will transform themselves back into their fancy feather bum packs to entertain your guests with their high kicking performances. Don’t forget our other themes including our Gatsby, Charleston, Can Can and Rio Carnival dancers who also have evening dress options for the earlier part of your evening complete with a costume change for performances later in the evening if required. This new style of costume is already proving extremely popular with our wonderful clients. We look forward to bringing our style, elegance and sophistication to your event in the very near future.